South African information and technology group, Business Connexion (BCX), wanted to construct a new headquarters, consolidating their various offices across Gauteng. Their brief to architects SVA International was to create an iconic & contemporary building accommodating 36,000m2 of GLA including offices and a warehouse of 2,500m2. Parking was to be maximised. The building was to contain client engagement and function areas as well as various showroom aspects to allow BCX to display their IT vendor offerings to clients. The site is located in Centurion, on the corner of John Vorster Drive and Lenchen Avenue. It lies adjacent to Centurion Mall and falls within a short distance of the Centurion Gautrain Station and numerous multi-occupant modes of public transport, making it easily accessible and highly visible in the surrounding urban fabric. The unique design gives a powerful image and a lasting impression, even more so as the sun sets against the backdrop of the illuminated offices. The site incorporates two five story buildings which have mostly an open plan environment taking into consideration staff comfort, the use of natural light, cost efficiency and a healthy working environment. shops, informal meeting spaces, staff restaurant and seating as well as the pause areas for each office floor plate. There are a series of outdoor spaces accessible from the high street that allow for staff break away spaces and outdoor functions, adding value to both the client and BCX user. All the other lifestyle elements expected of a future-proofed workplace such as a gym and convenience retail are provided for on the podium level. All luminaries supplied to this project utilize LED technology to ensure reduced energy usage, reduced maintenance and extended life of the lighting system. For office, meeting rooms and common areas LIA provided 3500 pieces of the Ohana LED light fitting which were locally manufactured in their Port Elizabeth factory. 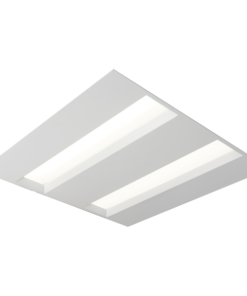 The Ohana is a stylish recessed fitting designed ideally for office illumination. 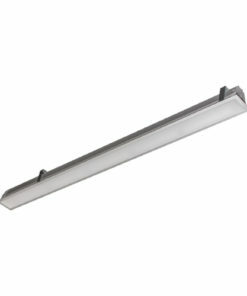 LIA provided their Gola and Tuba ranges of decorative linear LED luminaries for circulation areas and for the atrium areas in both flush and suspended applications. 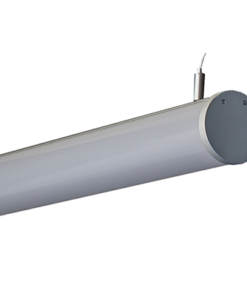 Recessed LED luminaries were used in the ablution areas and corridors. Passive Infrared presence/daylight sensors were used throughout to automatically switch lighting to further improve energy savings.